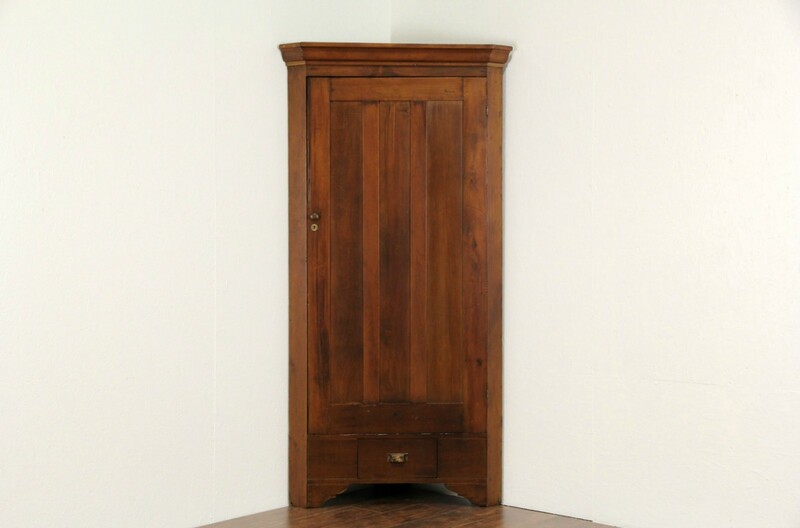 A country pine and poplar corner cupboard dates from about 1890. The finish is in excellent condition, preserving a few mars and stains with some shading, see photos. Some original square cut nails are visible on the back side of this picturesque American made antique furniture. Size is 40" across the crown tip to tip, 79" tall and each side is 28" from the back corner to the front tip.